Proposed bill limits funds donated to NGOs who advance political interests during Israeli elections. Centrist-leftist party Yesh Atid has announced its intention to support a bill capping donations to NGOs who advance political initiatives during elections. 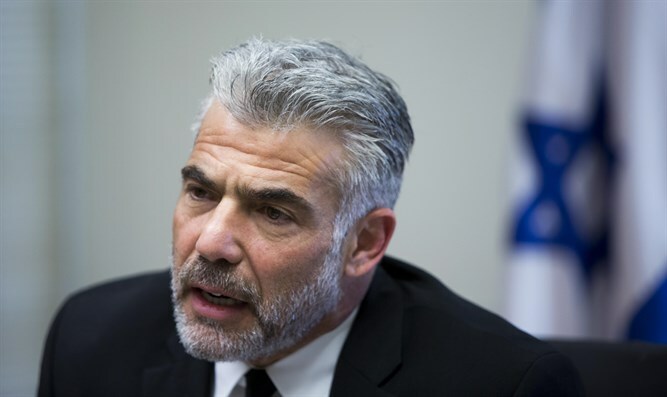 Yesh Atid head Yair Lapid told Israel Hayom, "We have no problem supporting coalition bills if they are just... We believe we shouldn't be importing this mix of money and politics into Israel." The proposed bill would impose a limit of 11,000 NIS ($2,900) per person, as well as requiring groups to detail their financing and activities to the state ombudsman. The bill has been nicknamed V-15, after a US-funded group that tried to rig the results of Israeli elections and gain a win for Zionist Union's Isaac Herzog. Committees are scheduled to discuss a revised version of the V-15 on November 11.